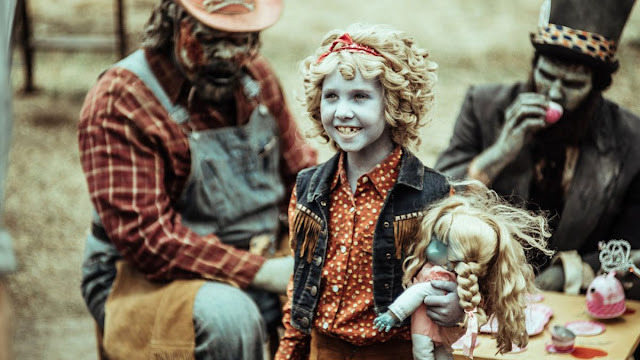 Z Nation is a show that started off very badly. The characters were unlikeable, the plot boring and I found the washed out look to be quite off putting. However by the end of season 1 I had fallen in love with the complete absurdity that goes on. Season 2 ended up being even better with the show seeming intent on cramming as much silliness as possible. 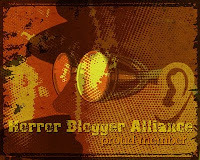 With a giant cliffhanger at the season's finale I had eagerly awaited the new season. Spoilers for previous seasons are bound to occur. 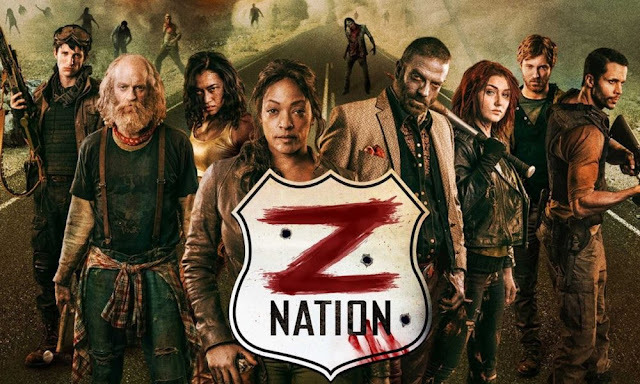 Z Nation starts off quite unexpectedly with a two part episode that serves as a prequel, taking place midway through season 2. As my friend put it, only Z Nation would have the balls to end on a giant cliffhanger and then not actually show the resolution to that cliffhanger until three episodes into the new season. The prequel kind of works as it introduces a handful of key characters, not least of which is a new antagonist in the form of The Man (Joseph Gatt); a Terminator style unstoppable killer who also exhibits quite an intellect. When the cliffhanger is answered it brings with it some big changes. The main one being that Murphy is now an antagonist himself. Season 2 he was hands down my favourite character but now he becomes a bit too selfish for my liking. His transition was well handled though as there were plenty of moments in season 2 that gave him cause to loose hope in humanity. so his arc is at least understandable even if he lost nearly all of his goofy charm. With Murphy now a bad guy of sorts the comedy falls down on to Doc's shoulders who handles it perfectly. Russell Hodgkinson is fantastic as the hippy doctor and makes for some of the third seasons highlights, he just gets more and more funny. This season the format goes a bit The Walking Dead with individual characters getting their own episodes. Of these stand alone Doc gets two, first off he stars in Doc Flew Over the Cuckoo's Nest (I wonder if you can guess what that is a parody of!) where he becomes a patient in a zombie infested mental hospital. Then later in the season Doc's Angels sees him befriending three love sharing women who live in a mansion protected by bejewelled undead. Is not an exaggeration to say he gets all the best lines, and the best parody moment when he hallucinates himself as Doc from Back to the Future with 10K dressed as Marty (!). Other characters fare less well, 10K has a troubled season mostly existing as an unwilling automaton (he gets his own episode with Little Red and the Wolfz) which detracts from his awesome fighting skills quite a lot though least he isn't totally ruined like Cassandra was in season 2. Warren's character arc goes ever downwards with it seeming before too long she will turn into an antagonist herself with the extreme methods she displays. Addy is as irritating and annoying as ever, though I have to admit her stand alone episode Duel made me gain grudging respect for her tenacity...which was soon lost when she spends half the season finale pointlessly climbing a sheer rock face. With season 2 zombies were quite a huge threat, mainly in the form of the recurring zoonami but now, much like The Walking Dead these rotters have been relegated to more of a background role with humans becoming the dominant enemy force. You have the mysterious Red Hand Gang with their brutal form of justice, you have Murphy's puppet soldiers, a new feral group of humans that act like the undead, and of course The Man. Zombies are relegated to pawns of the humans seen with Murphy's zombie moat, the bejewelled protectors of the three women, and the playthings of Murphy's daughter Lucy. The plot much like the cast is fragmented this season with it being mainly about one thing before changing into another for the final five episodes. There is more of Citizen Z's increasingly bizarre story out in Alaska (that features a new character who is ruined almost immediately by singing an extremely cringe inducing rap), there is plenty of Murphy's new world, and plenty of moments of characters stumbling into silly situations. I really enjoyed the surreal places the gang would show up in each episode when they were on a continent spanning mission, here it does sometimes feel a bit forced but no less funny. It is testament to the ingenuity of the show that characters can casually mention in conversation about having battled giant spider zombies as a reason why they didn't appear in an episode and not have it sound outlandish. Whenever anything seems too silly all it takes for Doc to exclaim 'It's the apocalypse!' as a sweeping explanation. As usual there are a few filler episodes, most obvious of which is Election Day that felt very topical in that it aired less than a week before the American elections and had a character who resembled Donald Trump (as well as election promises of building a wall and making the zombies build it). On the one hand it wasn't a great episode but it was pretty genius the timing it appeared. As always the special effects are very fun, zombies are varied and have some great moments (my fave being the criminally short lived zombie named 'Grandpa'), while the action is as thrilling as ever though human vs human fights occur far too often. It all ends on even more of a cliffhanger than even season 2 that to be honest frustrated more than anything with pretty much every single character in huge peril. With season 4 confirmed I eagerly await the resolution nonetheless. 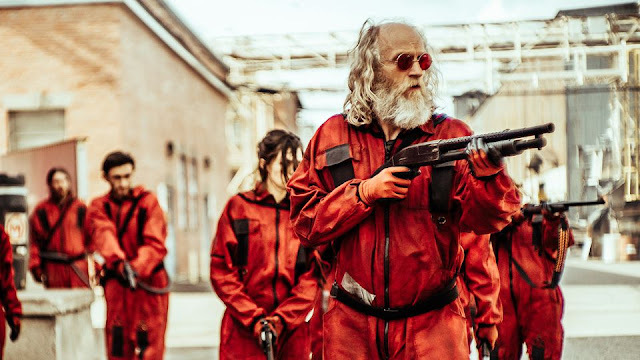 Z Nation is the perfect antidote to the seriousness of The Walking Dead and is still an essential watch for any zombie fan.